An outdoor and nature lover at heart, Janet qualified as a nature and trails guide. She has spent many hours in the bush guiding guests on walking trails in the Kruger National Park. She has a passion for travelling and seeks out untouched and wild destinations. In taking a photograph, Janet looks for more than just capturing an image, she strives to capture a moment in time. Everyone sees things differently and Janet strives to reflect her vision of the wilderness and the wonderful creatures that inhabit it. 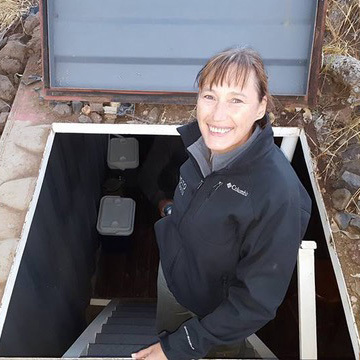 She and Trevor are now C4's in house photographers/hide managers at our Photo Hides in Mashatu, Botswana.